It’s hard enough keeping up with the daily requirements of work and home life, let alone getting the proper nutrition your body needs. Especially when fad diets exist and you can’t tell what’s actually going to work or not. That’s why National Nutrition Month exists – to give you a good way to think consciously about what you’re eating and what physical activity you engage in. It’s meant to bring attention to healthier choices on food that help you get the right nutrients. Now, nutrition isn’t just watching what you eat, it’s making sure you put variety into your diet. Nutrition often makes people think of tasteless food with no carbs. However! There are many, many, many recipes that have wonderful taste without the the added calorie content. One-Pan Pesto Chicken and Veggies: It’s as easy as it sounds, pick the veggies you want to add to a delicious pesto chicken to make a tasty skillet dish. 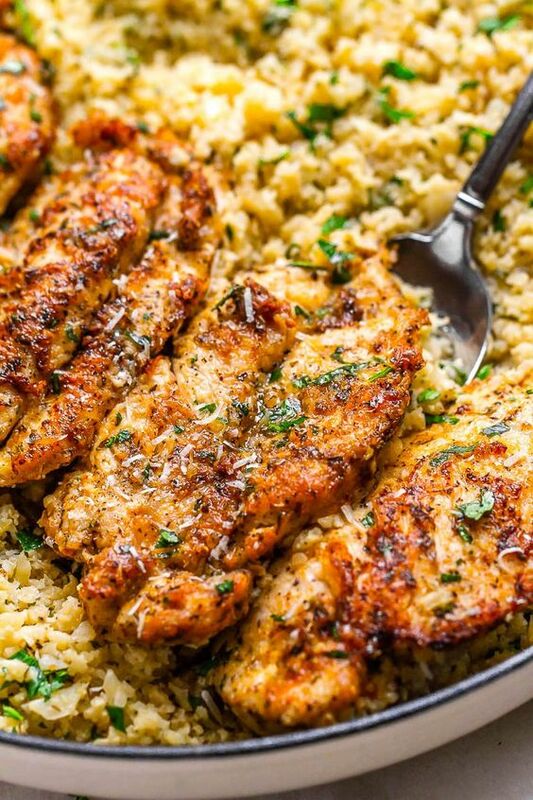 15-Minute Garlic Butter Chicken with Parmesan: Now, this doesn’t sound diet friendly, but it is. Using fresh ingredients can cut down on the calories and the salt, making it better for you. Cauliflower rice adds a good complimentary item to the dish without all of the starch of rice. Garlic Parmesan Baked Steak Fries: Homemade fries, baked in the oven and covered in Parmesan. No need to sacrifice french fries or taste. 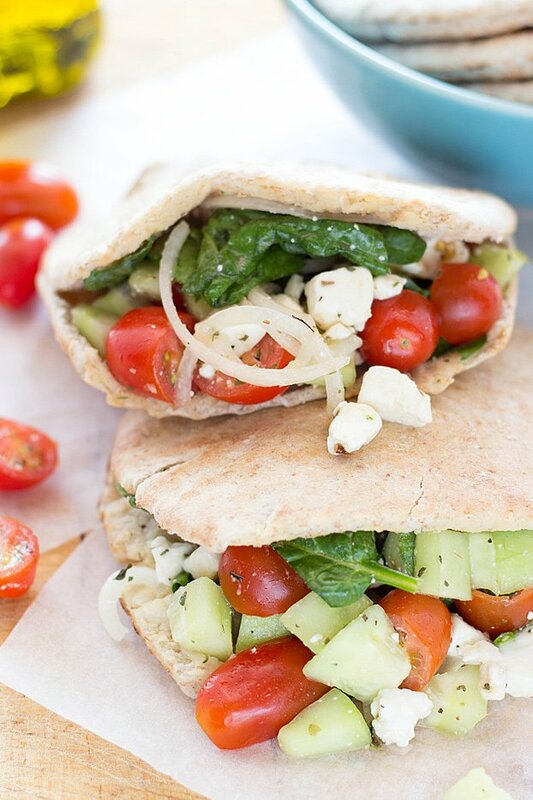 Greek Pitas: This simple dish involves cucumbers, tomatoes, feta, and oil – all stuffed in a pita. Simple and tasty, this vegetarian friendly recipe is quick and easy. Healthy Beef and Broccoli: Giving up such great recipes like Beef and Broccoli is hard to do. This recipe takes out the rice and uses low sodium Tamari. It has all the flavor without the sodium content. These tasty recipes and more exist on Pinterest or online. You can even check out our recipe books here at the library either in person or on our e-catalog! All images have been utilized from Pinterest and do not belong to the Library and are in the links that exist below as well as the hyperlinked titles. Cover image utilized from https://news.vanderbilt.edu/2018/02/23/national-nutrition-month-events-kick-off-march-2/ and does not belong to the Library.